There’s a lot of really bad cooking shows on commercial television. 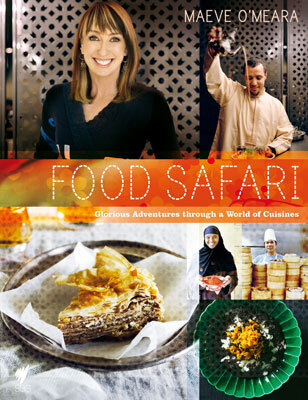 And on SBS, as a complete opposite, there’s Food Safari. Earlier tonight they looked at Laotian food. Next week they look at Polish food. They’ve done every country you can think of, but no doubt there will be more. And when I say Laotian or Polish, I actually mean Laotian-Australian or Polish-Australian. Because Food Safari is the perfect embodiment of multi-cultural Australia. Every episode features very long term or 2-3rd generation Australians giving an insight into their culture’s cuisine, always with such variety and such depth. Nothing flash, just really good food from different ethnic worlds that are all part of Australia. Host Maeve O’Meara gave up a higher profile and no doubt higher paying role on commercial television a few years ago to create Food Safari on SBS, and that just adds even more credibility to the whole enterprise. Rather than taking the money for a commercial bland-fest, she’s doing what she wants for all the right reasons. Before tonight, I really didn’t know a thing about Laotian food, but now I’d really love to try some! A great cooking show, one of the best.